Hey y’all – We are Morgan & Sean. Together with CiCi the beagle and Bear the grey cat, we are crafting our first home together in beautiful Charleston, South Carolina. From 2012 to 2016, we lived in a two bedroom condo. We started this blog in 2012 to share the projects that we worked on while decorating and living in that condo. You can see the whole condo tour here. In July of 2016, we sold our condo (for a huge profit!) and bought our first house. It was a bit of a fixer in that the bones were great, but we wanted to take down a few walls and in general bring the home into this decade and our style with DIY projects and design. Our biggest single remodel is definitely our DIY Coastal Kitchen. We did so many projects in our kitchen and completely transformed it. We try to give you easy ways to make a big impact on your, like extending your fireplace or swapping out balusters. But we also share bigger projects, like whole room makeovers such as our nursery, or building projects, like our kitchen table and a plywood and concrete desk. We recently completed our backyard as well, laying a new patio and building benches and a fire pit. You can contact us via email here – Morgan or Sean! 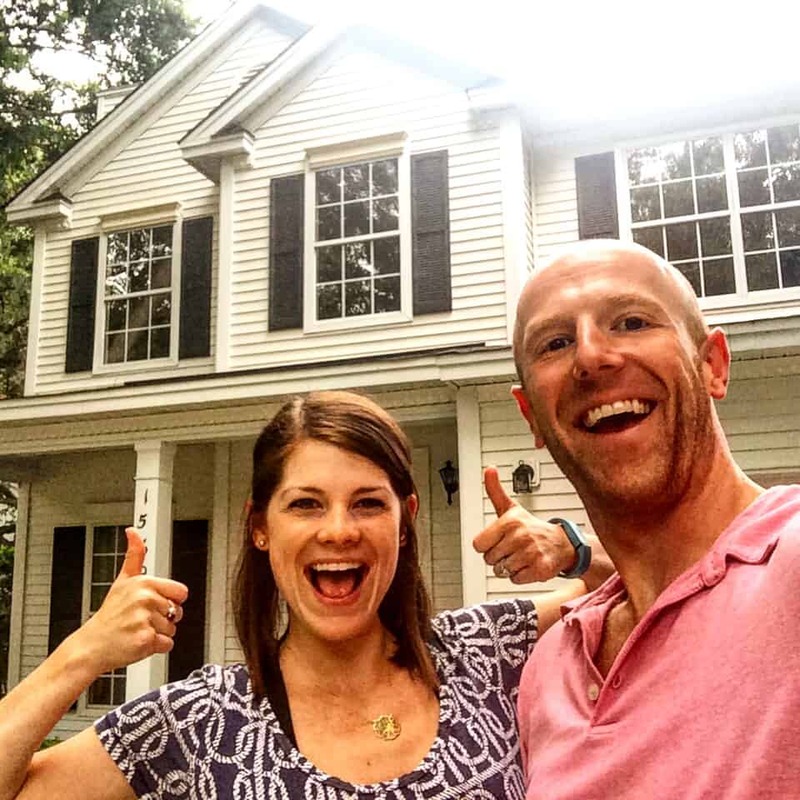 We are so excited to not only share that journey with you but also to help others living in your first homes to craft them into your dream home. Before we started on our DIY journey, we had no idea what we were doing. We both have desk jobs and have learned as we go and are continuing to learn every day. We have no background in construction or decorating or anything like that. We continue to evolve as DIYers and we are here to show you that crafting your first home doesn’t have to be difficult, scary, or expensive. We love sharing advice as well as projects going on in our own home and we hope that you will enjoy following along. Our blog archives are chock full of great projects that we have undertaken over the last four years. There are tips on decorating, storage, quick projects, quick fixes, construction, vacation spots, how to’s and so much more. Our search bar in the upper right corner of the page allows you to search for specific posts, or choose a category for blog post type. We also have tour tabs at the top of the page to show you some of the transformations we did at the condo, plus what we did for our wedding and our current house. Searching our blog by what you’re looking to do is a great way to find the content we’ve provided for years. Want to work with us? Here’s how! We hope that you will enjoy! Be sure to follow us on social media and add us to your blog reader to stay up to date.